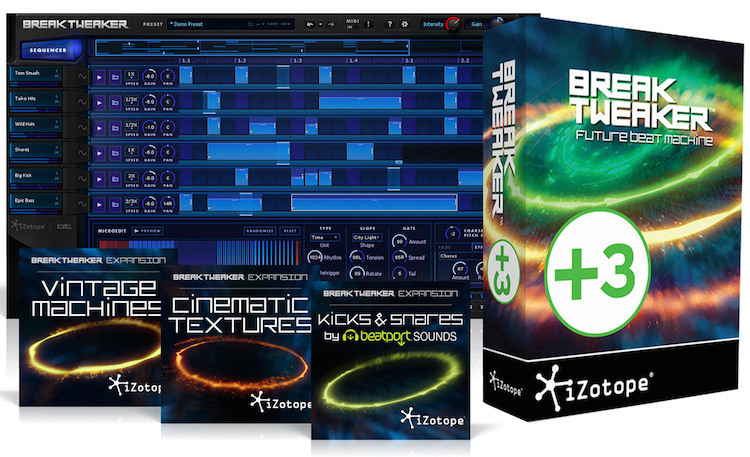 After needing to stay under the radar on this one for a while, I can now announce that I contributed a number of presets to Izotope’s new “drum sculpting and beat sequencing environment” BreakTweaker. This particular project also gave me the opportunity to work with one of my dearest friends and creative inspirations, Anthony Baldino. In particular, our work can be heard in the Cinematic Textures expansion pack. You can do all kinds of crazy stuff with this software, but it really puts an interesting twist on drum sequencing. I’ll let the good folks at Izotope do the talking on those points, but if you do any kind of electronic music or hybrid scoring be sure to check it out. Izotope also makes fantastic audio processing tools, including one that would certainly be on my “Desert Island” list for audio tools: RX. Analysis through restoration and denoising, with a batch processing stereo editor along the way. I’ve used it to rescue field recordings and on-set dialog that I thought was surely a lost cause. Perhaps I will put together that desert island list for a future blog entry.